Even Hippo can be fancy and choosy and know good style when they see it. They also need a good house, good clothes to wear and lots of happy playtime with kids. This game lets your play with little hippo and put dozens of costumes and make them clean to feel good. It's an amazing dressup game for kids to play this summer and over the holiday season. Let's get busy! Game includes three sessions like as "Bath Time", "Hairstyle Time" & "Dressup Time". Now it's your time to share some good time with that hippo. So be the Hippo let him be best hippo today...!!! Your hippo had made a mess! So it's time to give him a pleasant bath and make him clean and tidy! 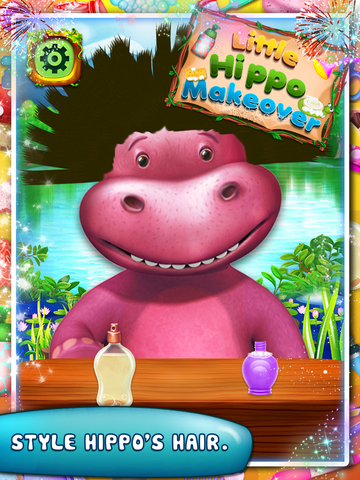 Kids can use hair styling accessories and make hippo look different with new hair style! 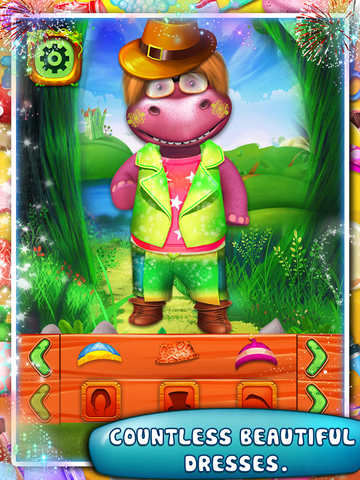 Kids can pick different dressup for their hippo in dozens ofcombinations of costumes, scoff, shoes, goggles to look hippo cool! ==> Different super cool shoes including sandals, boots. 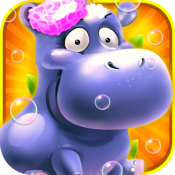 Download this fun game and let's your kids enjoy the wonderful journey of being hippo friends...!! !